We are excited to announce a new homepage that articulates our product in a long scrolling visual display of top features and key benefits. Employee recognition is key to helping motivate workers. We needed to showcase the badges, the experience on mobile, the reporting page, the show recognition page, and more through a longer more visual homepage experience. The homepage now shows the recognition cards and the reporting page. Plus it shows the recognition show page both at the top on mobile and down below on a Mac Air laptop. Amy Margaret, of Amy Margaret Jewelry, is featured as an advocate for employee recognition. 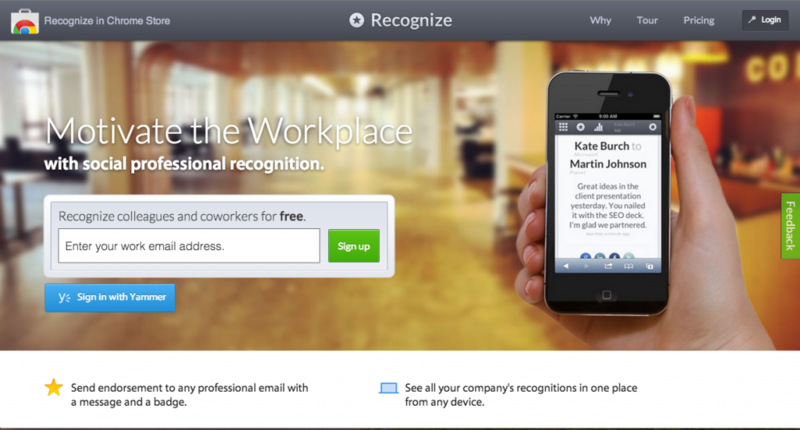 In between the taller panels, the homepage provides facts about Recognize. It shows that recognitions can be edited and deleted, and that Recognize is a responsive web application. I urge decision makers in organizations to implement employee recognition deep into its business culture. 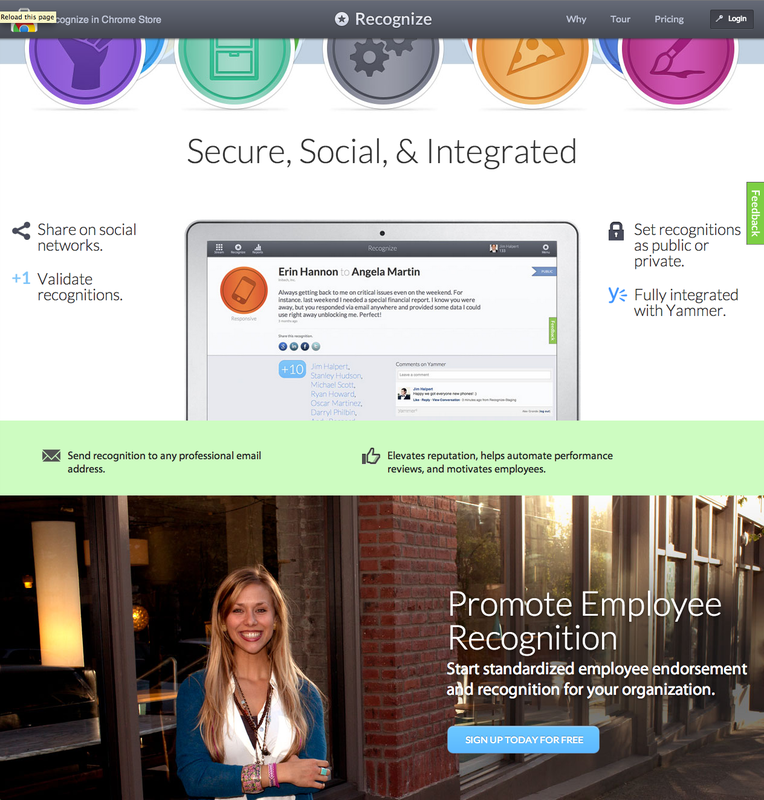 We hope our new homepage highlights our ability to help socialize and track employee recognition. This entry was posted in company and tagged employee recognition on June 14, 2013 by Alex Grande.